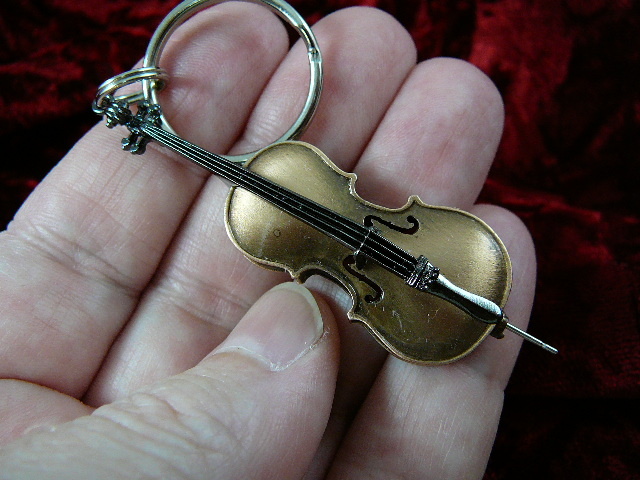 Miniature music instrument jewelry pins, charms, necklaces, key chains, and earrings. 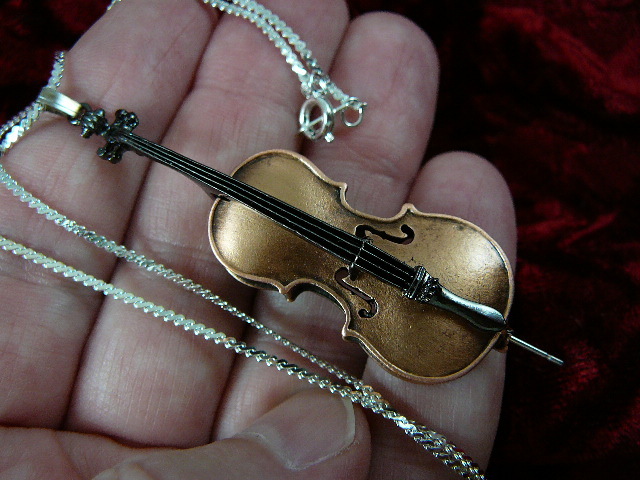 Instruments are perfect miniature replicas of the originals (copyrights from the manufacturers of the real instruments). One inch to 2 1/2" in length. Pewter, pewter cast, with nickel/silver plate (non-tarnish) or 24k gold electroplate. You can almost play them! Detail cannot be faulted, even by professionals. Most are tack-pins, some are clasp pins, som e are charms made from the same mold, or key chains, or pendants. Backs are flat unless listed as 3D. Great for the family or friend who is a musician! Unidirectional Dynamic Mike - The ubiquitous SM-58 is used for Rock, Rap or Presidential news conferences. Available in short pewter, short silver (1"), long silver (1.5"), short gold, long gold unless specified. Back is hollow. 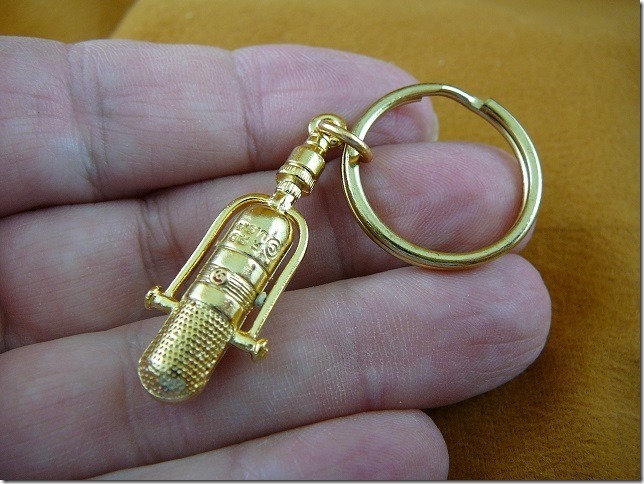 Multipattern Condenser Mic. The world standard for solo recording. Fully three-dimensional. 1 3/8" long. Variable-D Cardioid, a large diaphragm mic. Used for singers, announcers, horns and bass drums. Fully three-dimensional, 1.5" long. Bidirectional Velocity Ribbon Mic - since the 1930's, the announcer's favorite. The large ribbon in this mic made even the smallest voice sound like thunder. Polydirectional Velocity Ribbon Mic, 1930's classic, favored for its warm, rich tone. Fully three dimensional; 1-3/8" long. Multipattern Transformerless Condenser Mic, descendant of the legendary U47, this mic is the paradigm of the digital age. Fully three-dimensional. 1" long. 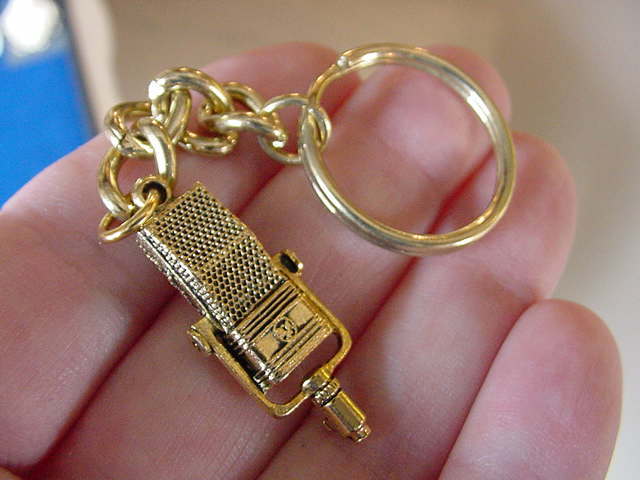 Multipattern Condenser Mic. Original is descendant of the historic C-12 and a studio standard. Fully three-dimensional. 1" long, Fully 3 dimensional. Replica of 300-year-old Italian Solo String Bass with "violin corners". 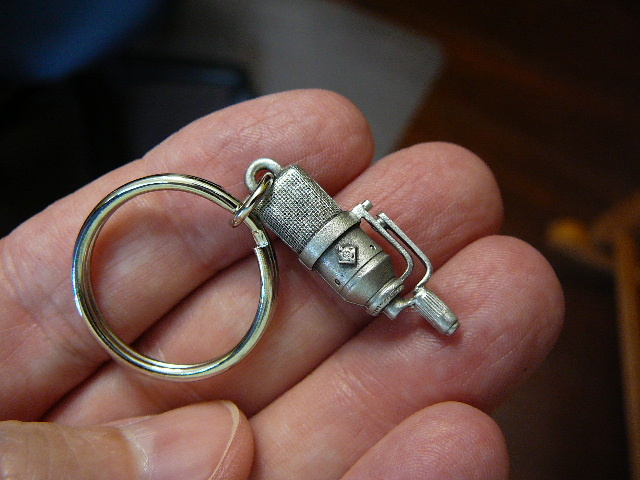 Retractable end pin. Bronze electroplate. WOW! High relief (back is hollow); 2" long x 1/4" thick. Cello replica of Vuillaume Strad. 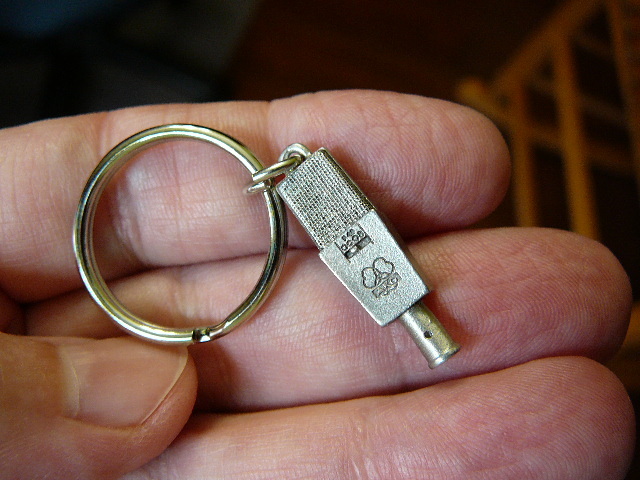 Retractable end pin. Bronze electroplate. High relief (back is hollow). 2 1/4" long x 1/4" thick. Cloisonné-enameled. 2" long; back is gold. replica of classic Selmer (Paris) Mark VI. 1 5/8" long; back is flat. "My wife is a professional saxophone player and woodwind teacher. As soon as she unwrapped the earrings, she took her prized Selmer Paris Mark VII alto sax (a very rare and special variant of the well-known classic Mark VI) out of the case and we spent a half hour marveling at the detail and accuracy in the tiny reproduction. Every key and rod and strut and ivory button is there. Amazingly, it even has the high F# key! 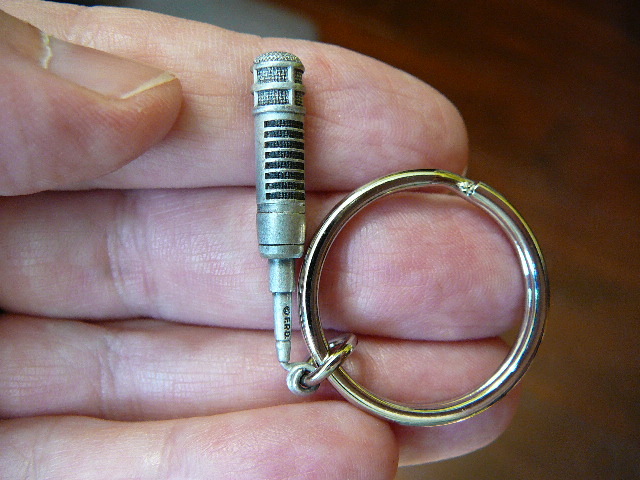 This was optional on Mark VI instruments, on which these earrings are modeled. We're both delighted with these earrings - she with the beauty of the jewelry, and I with her joy at receiving them. Thanks!"